The late 19th-century was a time of optimism and revivalism in the midwest, and since travel was still fairly arduous, most smaller townships had Church buildings liberally scattered abroad. Our Church building was originally constructed in 1889 as a United Brethren Church. It has gone through quite few cosmetic changes since it was first constructed, but the foundation and framing are the original items. 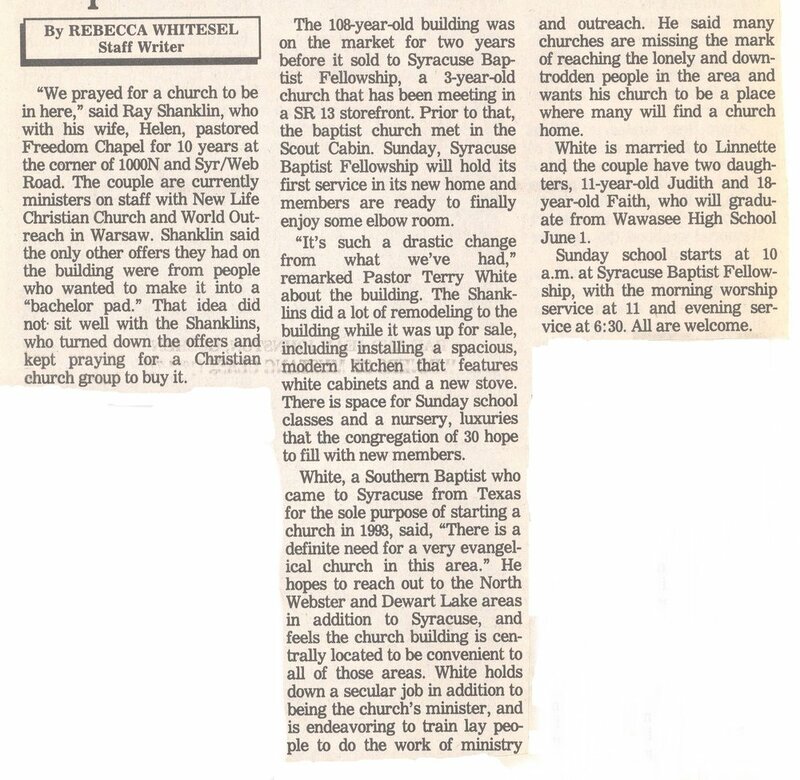 It has changed hands a few times as well—the building was owned by an independent Church for a short while, and now functions as a local Southern Baptist Church. Below are some pictures and news clippings.